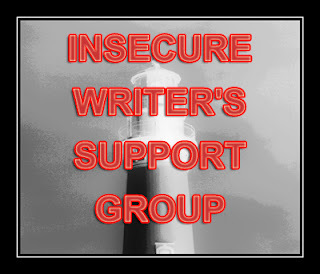 Lissa Bryan: #IWSG "You're Not A Real Writer" -- RUBBISH! 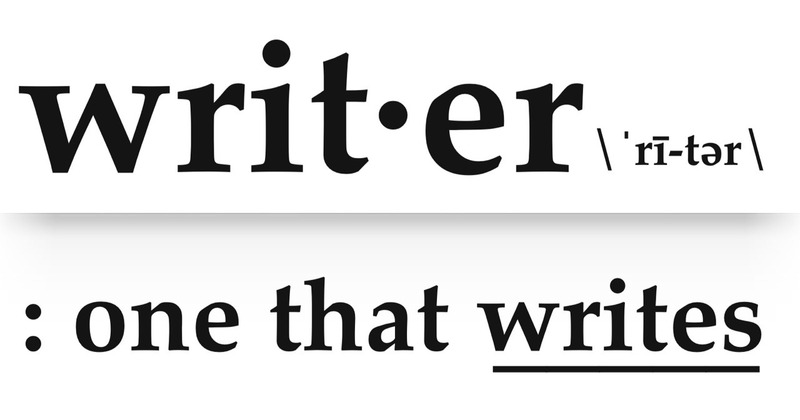 #IWSG "You're Not A Real Writer" -- RUBBISH! In the past few years, there has been an unprecedented revolution. These are historic times. Never, in the history of the written word has there been such freedom for writers and readers. Readers have a wealth of choices, and writers now have options other than the narrow route through the traditional publishers. "Anyone can publish a book these days," I saw a reviewer comment disparagingly. Yes, that's true. And I think it's great. It was once said that freedom of the press applied only to those who owned one, and now everyone can own a press. Freedom is here, and it is beautiful. Instead of celebrating the fact that readers have more choice than ever before, and writers do not have to conform to fickle industry whims in order to make their work available to readers, it seems some are eager to throw up walls of distinction, as though the inclusion of others in the writing world somehow detracts from their own accomplishments. "You're not a real writer unless you're published...."
RUBBISH! A writer is someone who writes, plain and simple. By that distinction, Emily Dickinson wasn't a "real writer" because she only shared her poems with a few friends and wasn't published until after her death. Nor was Anne Frank, but her words have touched millions. Other famous authors were rejected dozens of times, not because their work wasn't good enough, but because it wasn't deemed marketable or part of a popular trend. We applaud their tenacity in soldiering on past a multitude of rejections until they finally found someone who saw the value of their book, but that bold fortitude isn't automatic quality of a writer. The world would have missed out on many treasured books if their authors were more introverted. How many other wonderful works were lost to us because their writers were rejected and had no other avenue of getting their books published? "You aren't a real writer unless you're published by a publishing company." RUBBISH! Some of these so-called "not a real writers" are on the New York Times bestsellers list, and manyothers are making a comfortable living off their novels. Readers have decided they're "real writers" and are enjoying their novels. In the UK, self-published books make up 12% of ebooks purchased, up to 20% in some genres. Not everyone will be as successful financially as these authors, but a writer is not defined by how much they make. Every book is a success story in of itself: a battle against the blank page won, and a project brought to completion. By this distinction, some of our classic authors weren't "real writers," such as James Joyce, Beatrix Potter, Marcel Proust, Anaïs Nin, and many others. 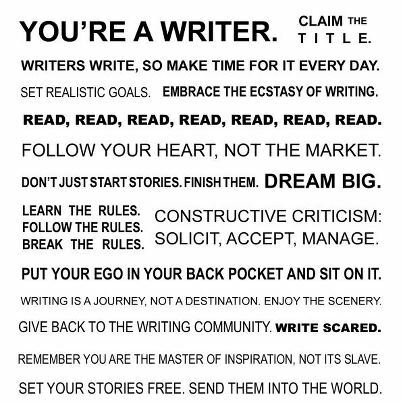 "You're not a real writer if you're not with one of the Big Six." In the end, it seems to boil down to a few critics and authors who want to keep up these crumbling walls of distinction as a way of differentiating a select few from the hoi pollloi, like a society matron appalled at the influx of "new money." But their insecurity does not constitute a valid definition. And, in the end, the only opinion which really matters is that of the readers, and they have spoken. Every day, that voice is getting louder. There are real writers everywhere. They are writing quietly for themselves, or maybe getting up the courage to share their work with friends. They are posting online, or self-publishing and selling their work. They are with indie publishers and big publishers and everything in between. They are real writers, every one of them. Good, bad, published, unpublished, shared or unshared. They are the dreamers of dreams, the creators of worlds. Whatever you write: short stories, novels, fanfiction, or simply for your own amusement, you are a writer. Claim the title. Own it. And never let anyone tell you differently. A brilliant blog that should be lauded all round the writing world including the old-fashioned publishers. I quite agree, Lissa. If I waited to write until I was with the big six, I'd be dead before my first book came out. There is absolutely no reason to put my career on hold waiting for other people to "make it happen." You're got to take the path that's right for you. It's different for every writer. And who knows how far that path can go? The sky's the limit. I've had 6 books published since 2009 by a POD publisher, and I STILL hear people say to me, 'When you're a REAL writer...' all the time because I'm not part of a Big 6 publisher. And now that I've decided to go 100% Indie, I expect I'll hear it even more. Six books published, a seventh coming soon, an eighth in progress and about a million more waiting in the wings, and I'm not a 'REAL' writer? What???? -So I don't make a whole lot of money; I don't do it for money, I do it for the love of telling a story. -So there are maybe a hundred people who know about my books; I would rather have a hundred people that I love as my fans than a million of strangers. I'm still a writer. I write stories. I get them published. People read them. That makes me a writer. Thank you for re-enforcing my faith in myself! You've got the definition correct. It's the people asking that silly question who are confused. Write on! I LOVE this post! I've read a few reviews lately that are so frustrating. To dismiss a book simply because it is self-published or isn't published with the right firm is ridiculous. I've read several amazing self-pub books recently. When people ask what I do, I still don't call myself a writer in front of most because I know an eye-roll or muffled laugh will follow. Or the annoying question "Oh really? What's the name of your book again?" I respect every writer that has published their work, successful or not, with a big firm or not, it doesn't matter. Just putting your work out there, in public, is a huge accomplishment. Pity them, for they are missing out on some great stories because of their snobbery. You're right that simply putting your work out there for others is an act of courage. People like that would seek to stifle that courage; don't let them win. There's an old Arabic saying: "The dogs may bark, but the caravan passes on." Don't stop your caravan to listen to their yipping. I've had long discussions with other reviewers who won't read anything self published. I just can't understand it. There's a wealth of entertainment all around us. I've also been following Ohioana, which celebrates authors from Ohio--but only if you're traditionally published. I couldn't believe that! Anyway, it's a great time to be a writer, and I think it will just get better. I know-- I was appalled by the rule at Ohioana when a self-published friend told me he couldn't go. I'm hoping they'll relax that rule, because they're missing out on some fabulous talent. But by bit, those walls of distinction are falling. It won't be long before we're all level, on the same playing field. A great post, and all very true. Unfortunately, too many writers are so eager and impatient to become published authors, they rush the process, and publish WAY before their work is ready or even worthy. This, in turn, does hurt those authors, especially self-pubbed ones, and they, as a group, aren't taken as seriously as they deserve. Most who rush learn this the hard way, unless they're writing contemporary romance or erotica, then it seems anything's a go. I say, be patient, learn the business as well as the craft, and take your time. The only thing we can do to break the perception that indie books are no good is to make sure there are tons of good indie works out there. Indies are unfairly burdened in that respect. If Laurell K. Hamilton (just yanking a name out of my head) writes a crummy book, it doesn't make people think poorly of all Big Six novels, or hurt the reputation of, say, Stephen King. Nor does a movie-goer stop at the entrance to the theater and say, "Man, I saw an awful action movie last week. I'm not going to watch anything else that comes from the big studios." As an avid reader, about one to two books a day, I absolutely love that I have so many options on how to get my fix. I guess I'm lucky that I'm not too picky when it comes to mistakes in a book as long as it's not constant and the overall story and character make up for it. I'm not a writer but I've been reading almost constantly for 24 years and I can completely appreciate the effort that authors go through to bring me such joy as I get when I read. Thank you. Without the readers, our stories would only have half a life. Your enthusiasm for the written word is what keeps us going, you know. We need you, and are always grateful when it's our words you choose to read that day. You're giving our characters a chance to live in your mind for a little while, and that's always an honor. LOVE this post. I struggle with publically claiming and owning that Writer title, but I love the craft just the same. Embrace it and wear it proudly. You have just as much right as anyone else who wields a pen. Never let anyone (even yourself) tell you differently. Goodness, there are so many of them, one could write a book about these "not a writer" authors whose classic novels are now considered priceless pieces of literature. Brilliant post is all I have to say. Thank you and excellent timing -- I really needed to read this today. One of my goals as a writer is to give back some of the kindness and support I received on my journey. I'm glad some of my words could help others as I was helped. Pass it on, and make someone else's day just a little brighter. I'm with a small publisher, not one of the big six, but I know I'm a real writer and author. Lissa, very encouraging - thanks! Thank you so much for saying this!! Yes! We're real. And we're here. Great post!